I'm sure he will be officially using his Godin when the pictures out of the studio in Austin come out. The man's nothing if not loyal. You probably need to have a facebook account to see the vid. Sorry, he did it as a live Facebook feed, so not on youtube. Last edited by PittPastor; 03-21-2019 at 02:28 PM. Makes sense. You get used to something after awhile. Also, could be that his Godins are packed up for when he goes to do appearances, and its easier to take a guitar that is just sitting there on the stand then to go get the stuff that you have setup to go to the next gig. 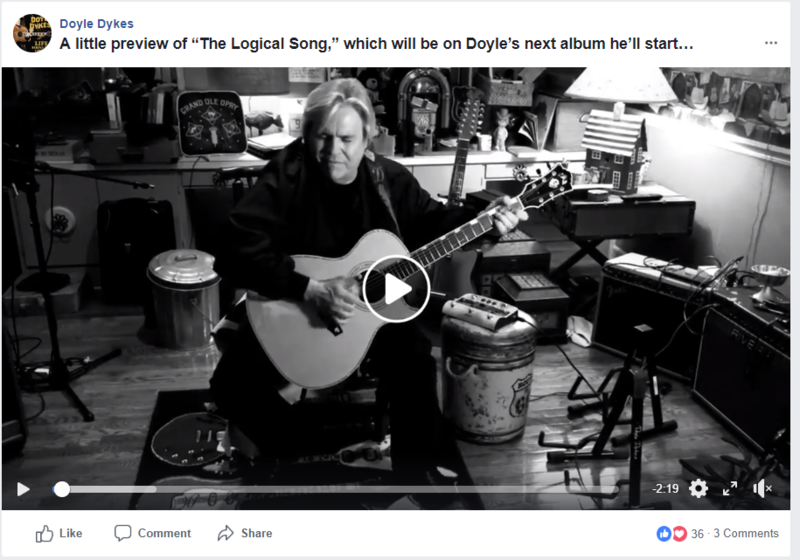 I don't do Facebook, but if that's Supertramp's "Logical Song", he may just have been looking to preserve the Guild DNA since Roger Hodgson's a loyal F512 lover. Yeah, i'm not into Buttbook. Guild definitely is important to Doyle. There is no question to me that he was speaking from the heart on the occasions when we spoke at LMG events and when he talked about Guild to the attendees. I honestly believe he was shocked (and somewhat crushed) when Fender shuttered New Hartford. And didn't mean to imply it's the only reason he used it, after all, it was built to his specifications, so it's gotta be a joy for him to play, have no clue if any of the subsequent makers did that for him. But there's a certain, uh, "harmony" in covering a song that was composed on a Guild, with a Guild. No doubt. Doyle is a loyal soldier, and I think he was genuinely grateful that Godin sponsored him. I was checking out the pictures of him playing at the Grand Ol Opry recently, and I noticed he played a few different instruments -- including that Olson thing he has. So, I guess he has some latitude. I have nothing against Godin. Fine guitars and seems like a good company. But it was fun to see him play his Guild custom. But it was fun to see him play his Guild custom.